Much of the success has to do with a financial crisis in the 1990s that shook Sweden to the core. The financial breakdown is the result of a housing bubble that burst. This meltdown was as serious for Sweden in the early 1990s as the housing bust was for the U.S. in 2008. The Swedish government had to issue deposit guarantees and a significant bailout to keep the market alive. Regulating agencies also had to reform the financial sector so that such a disaster wouldn’t occur again. Banks simplified processes by putting an end to trading and focusing on fees and loans. The banks dropped the culture of credit risk and focused on what made more sense. They also cut costs by investing in certain types of technology. Swedish banks were among the first in the world to standardize online banking, which creates sustainable returns. This is because they saw how online banking could cut specific expenses, despite the large initial investment that establishing an online system requires. Macroeconomics also have something to do with the Scandinavian banking systems’ success. Macroeconomics focuses on behavior, structure, performance, and decision-making within an economy. Many concepts and values are encompassed within this economic branch. Macroeconomics has proven to be a positive move for countries that have taken this more open-minded approach. The strength of the banking system enables those needing financing the ability to achieve it. As mentioned before, one of the industry-changing moves was the renewed focus on loans and fees. Making loans results in a return, so it makes sense that loans would be profitable for banks. People in Scandinavian countries do everything from financing health care to financing their homes and cars. Business endeavors can also be financed. Taking out new loans and refinancing existing debts are common. This has become a way of life due to simplified application processes and the fact that Scandinavians tend to keep their credit scores in check. As a result, Nordics are shouldering more debt than U.S. citizens. However, a considerably higher tax rate with a less generous welfare system may have much to do with this. At the same time, the indebtedness of Scandinavians is fueling economies. This doesn’t necessarily mean that Scandinavia is doomed to experience a financial crisis anytime soon. It seems that the governments and the people have a solid grip on their financial lives. If the economy keeps growing and jobs keep coming, the people will be able to cushion their savings accounts and pay their debts. If you wish to apply for financing in Scandinavia, the internet has simplified the application process. 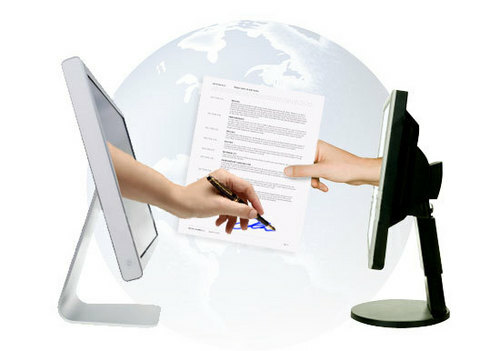 Now, you can fill out a single application, and that application is submitted to multiple lenders. This encourages competition. You need a loan, and they want borrowers because of the income produced by the interest. However, multiple lenders competing for your business allows you to make an informed choice. You can review loan terms, interest rates, and the reputations of each lender. When you can make the right loan choice, you can feel good. This is also a great way to establish a relationship with a reputable and fair lender. Scandinavian banks have a lot figured out, so the decision may be a difficult one. However, you can choose what works for you. You may need the money for a car, house, business endeavor, or trip abroad. No matter what you need the money for, there are banks out there that want you. A single application system will help them find you and also save you a lot of time because the application is simple and you don’t have to spend hours searching for banks. Overall, you can take advantage of the success within Scandinavian economies and banks. With good governance, the people have a good handle on their bank accounts and assets. As long as the people are stable, the banks will continue to strengthen their stability. This makes them ideal for you to turn to for your financing needs so that you can take advantage of great rates, terms, and service. In fact, rock-bottom rates are allowing Scandinavian households to carry their financial loads well, and this is expected to continue well into the future.